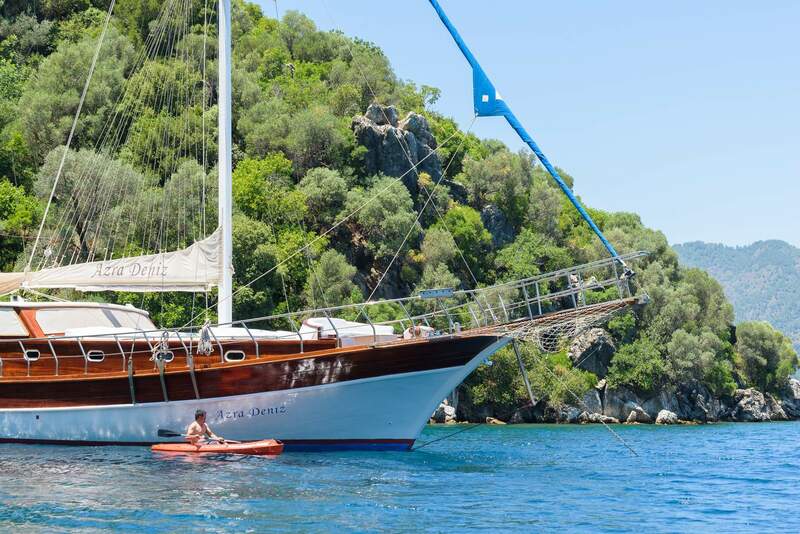 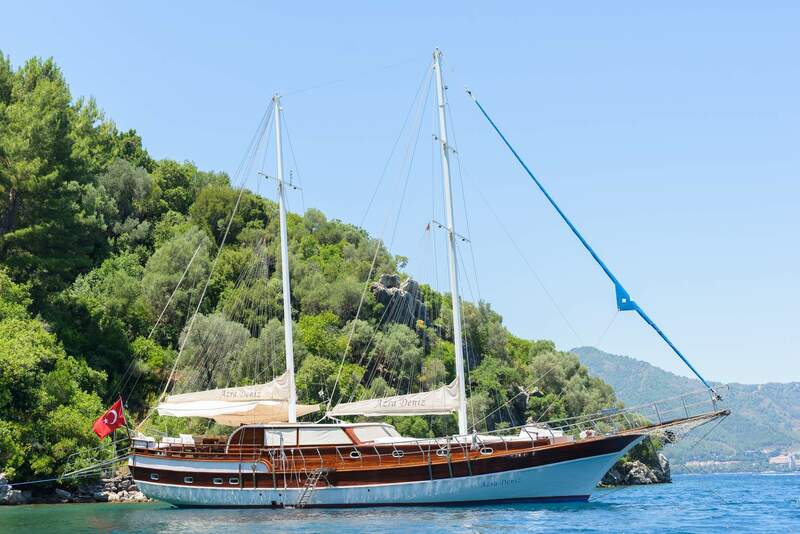 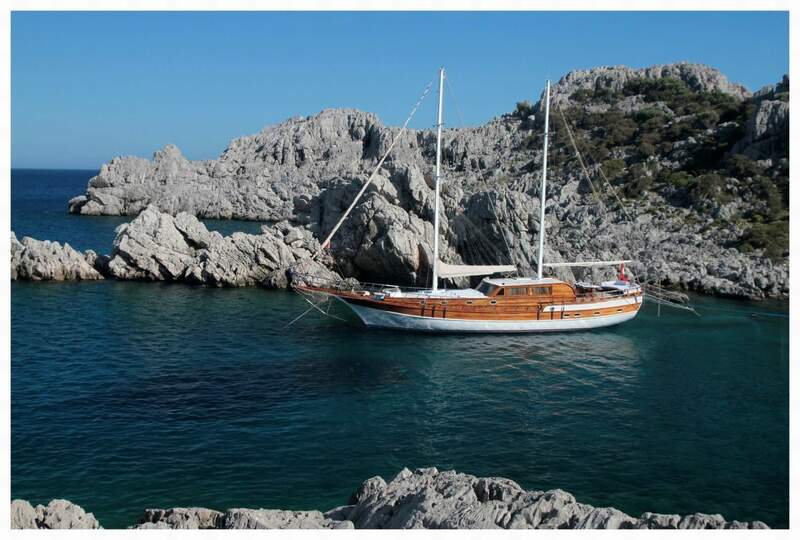 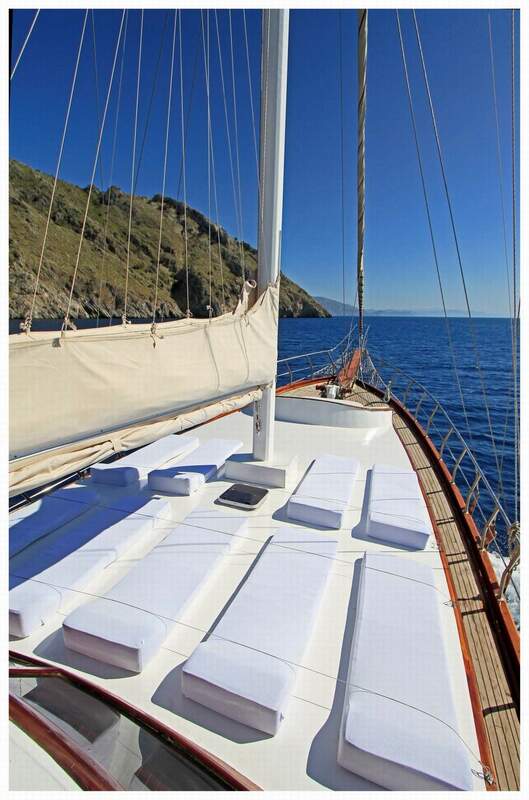 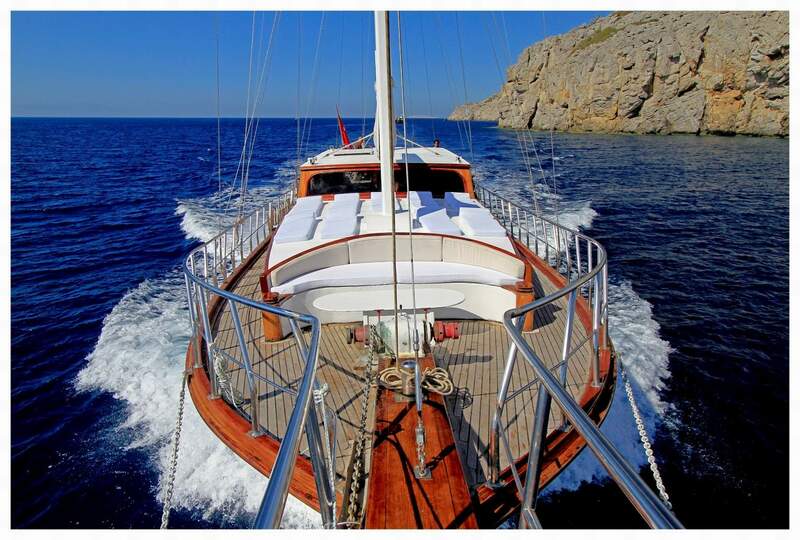 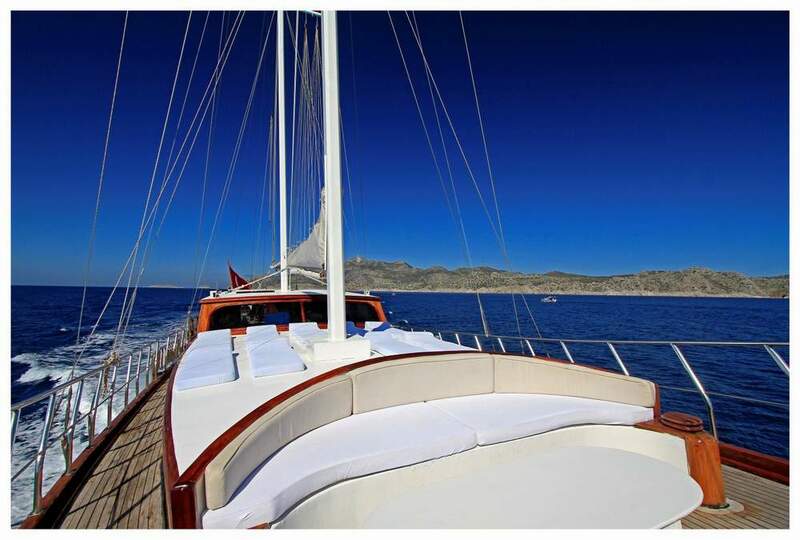 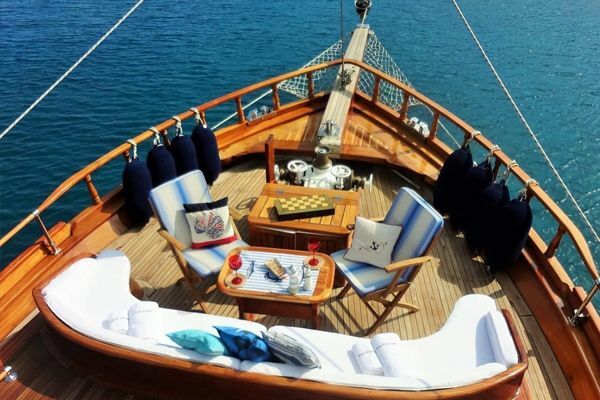 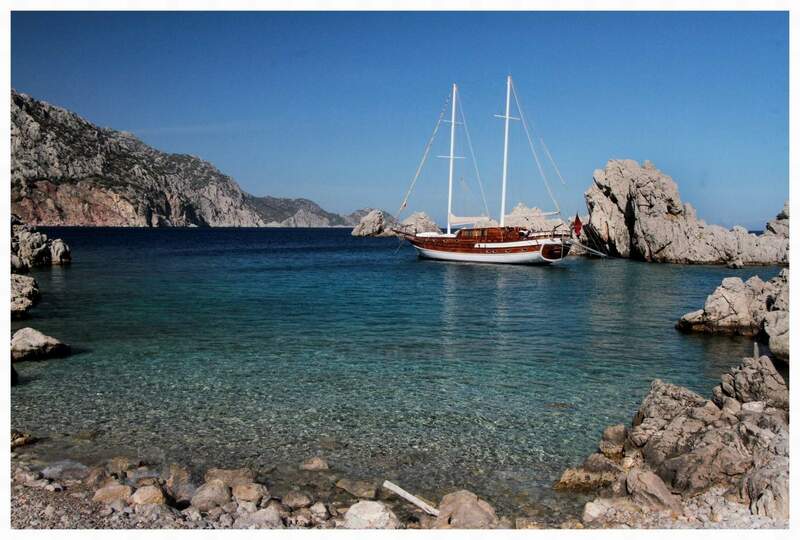 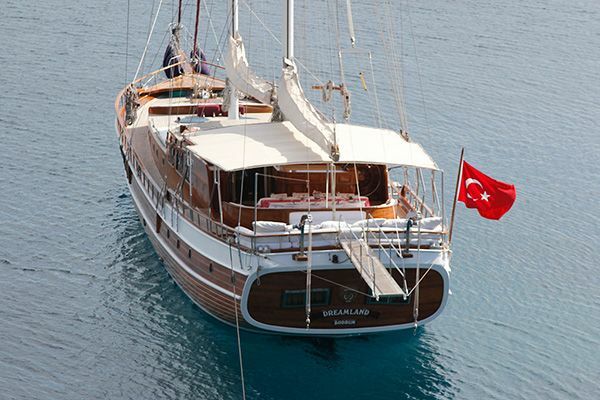 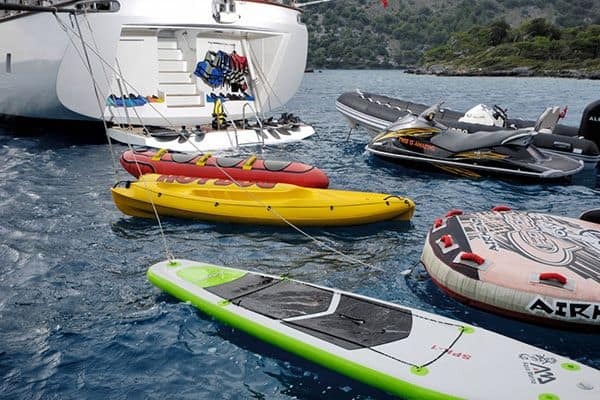 Gulet Azra Deniz, 24 meters private gulet in Turkey & Greek Islands. 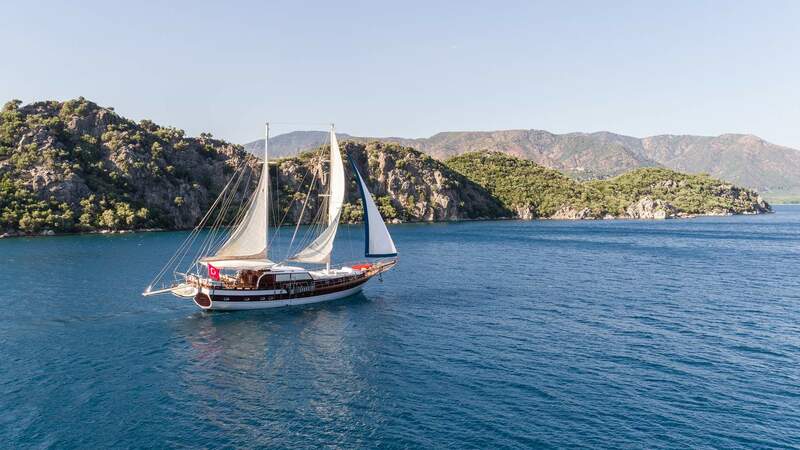 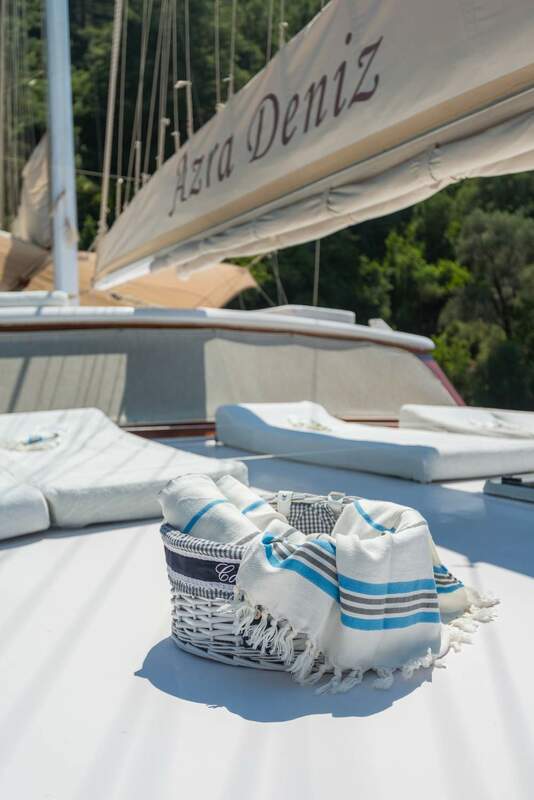 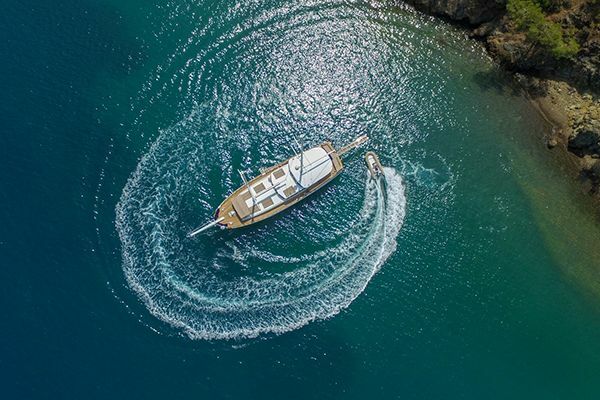 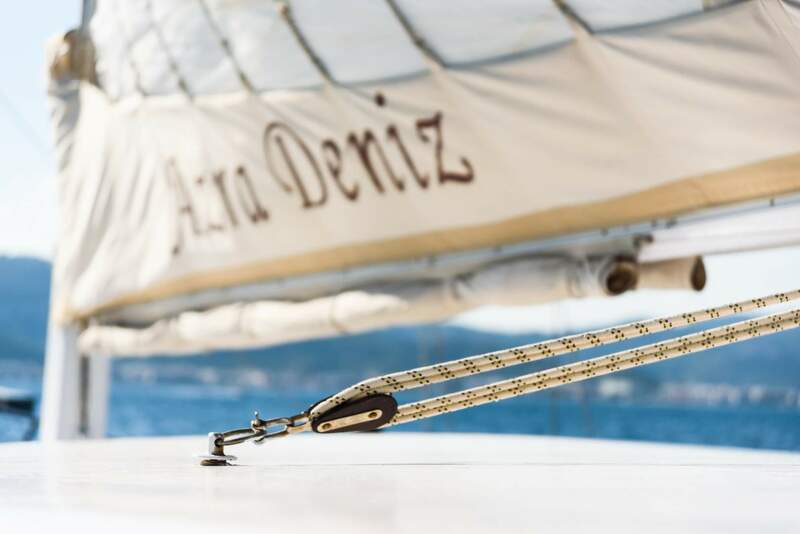 The classic lines of the gulet yacht Azra Deniz, the warm tones of varnished wood in the cabins and saloon, and a friendly crew will welcome up to twelve guests on a true gulet charter holiday afloat. 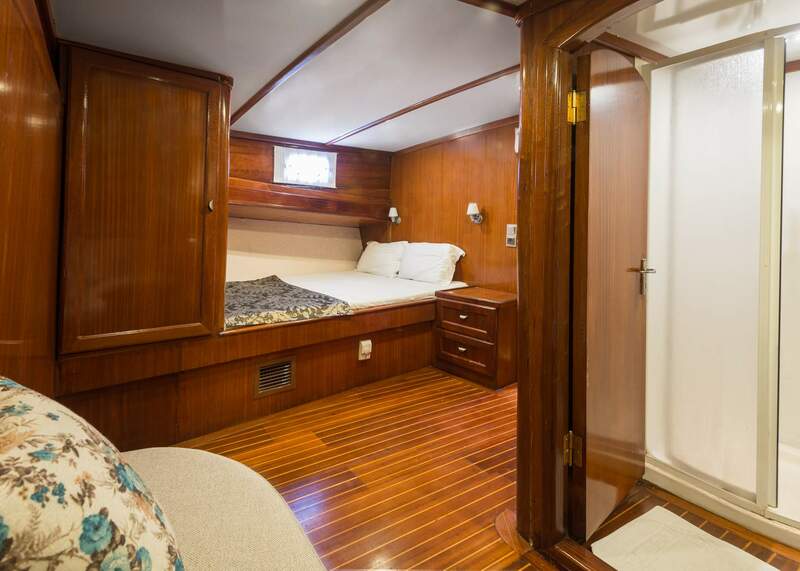 Azra Deniz is a favourite crewed yacht charter for families or groups, the 24m boat is well designed to give simplicity and space in the four air-conditioned double bed cabins and two master cabins, and in their en suite bathrooms, while on deck the saloon’s dining nook gives indoor dining or quiet watching of the TV. 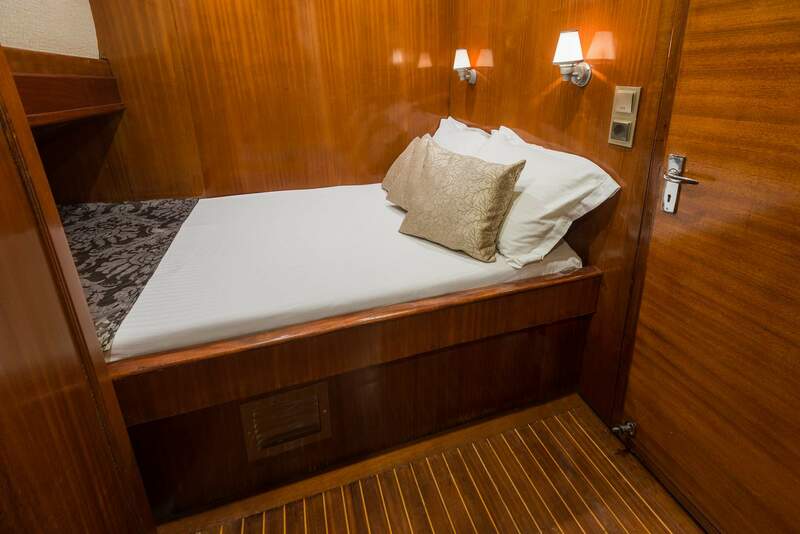 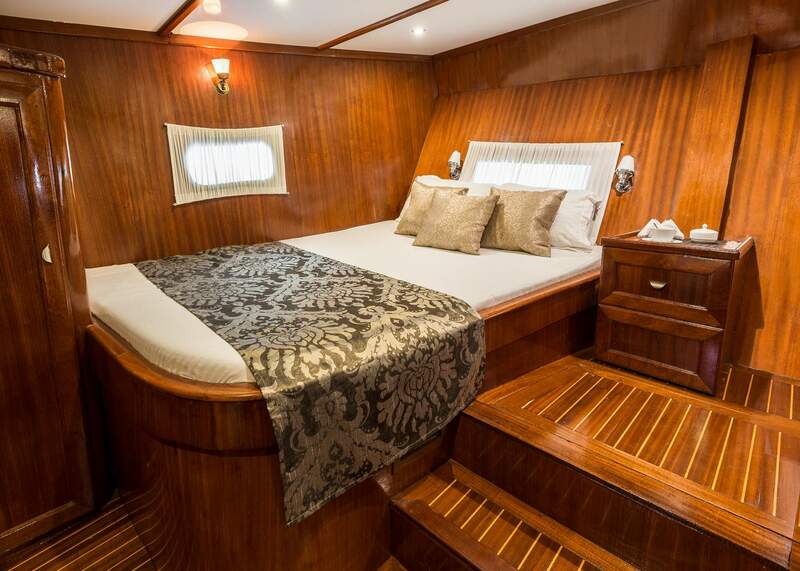 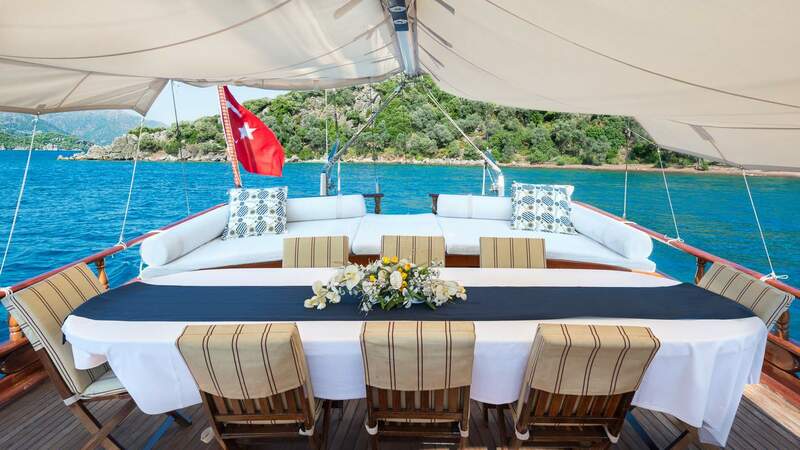 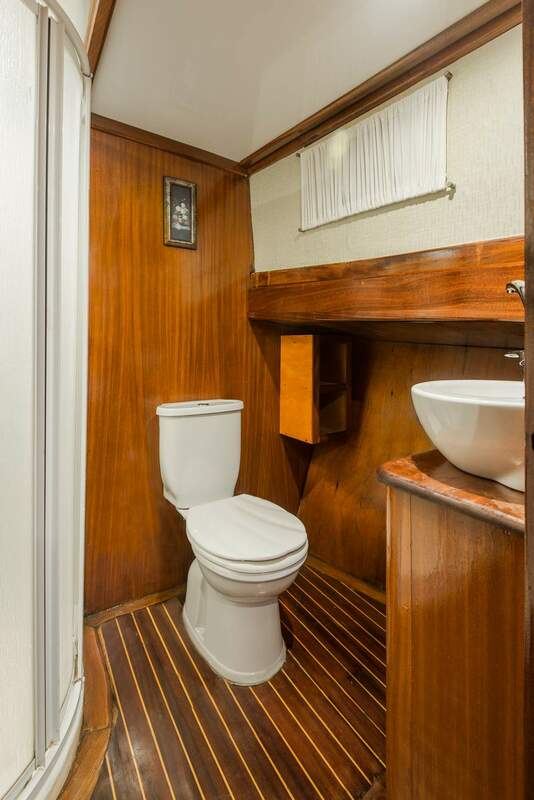 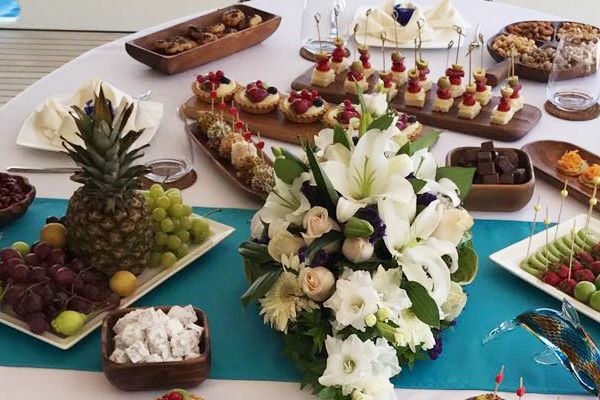 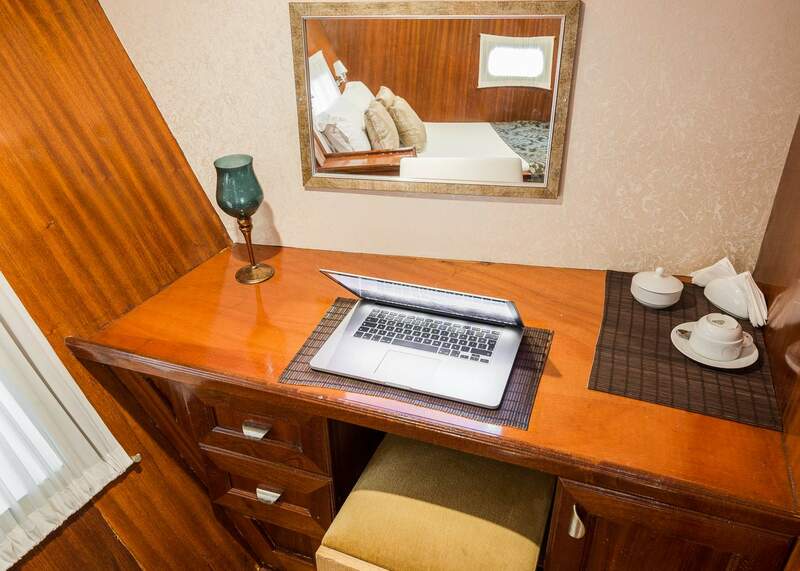 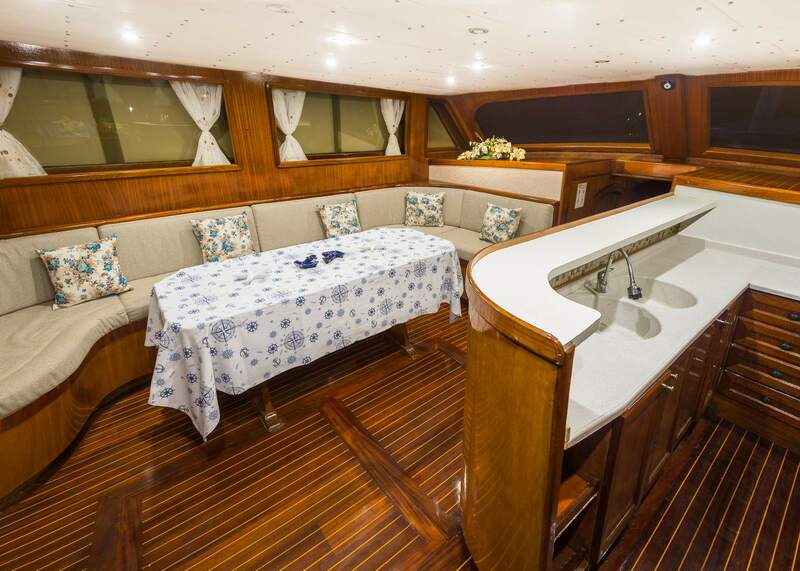 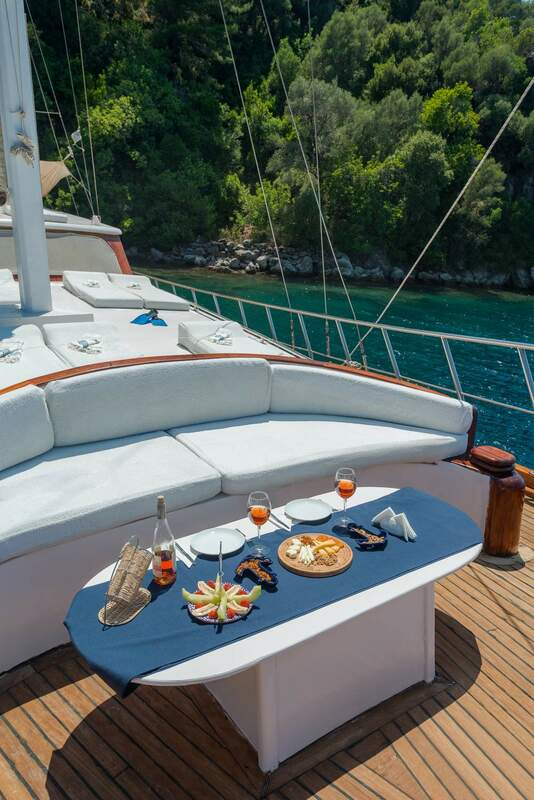 But usually everyone relaxes on deck, on the shaded aft cushion pad or forward on their own personal sunbeds between enjoying delicious meals created and served by the crew at the outdoor table under the awning. 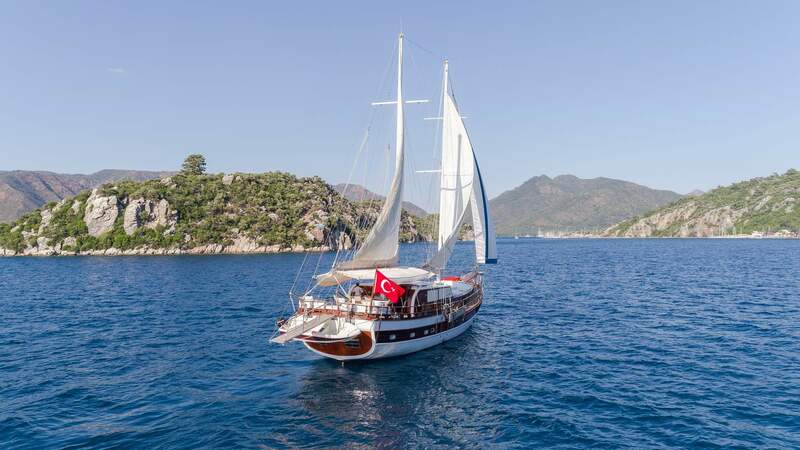 The bar and drinks service on gullet Azra Deniz runs all day too, unless the crew are putting up the sails to boost the cruise into the next scenic bay on the itinerary along the Mediterranean coast of Turkey from Marmaris, or even over the strait to the neighbouring Greek islands of Rhodes and Symi. 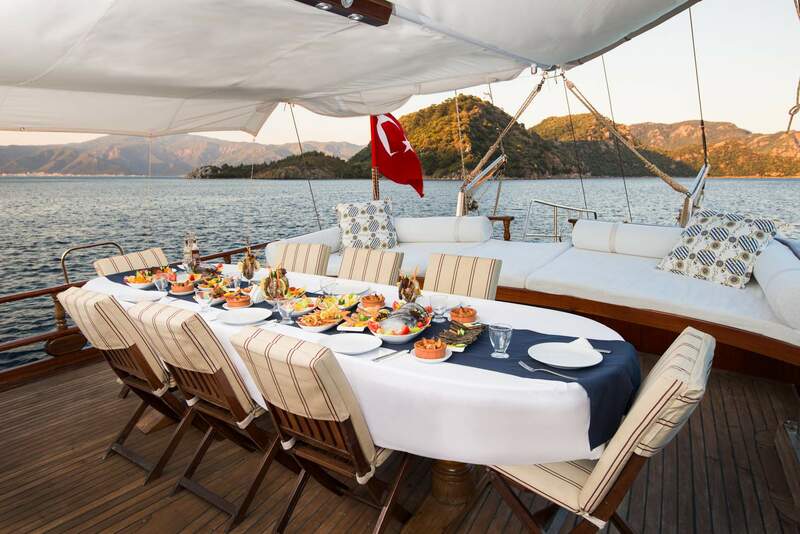 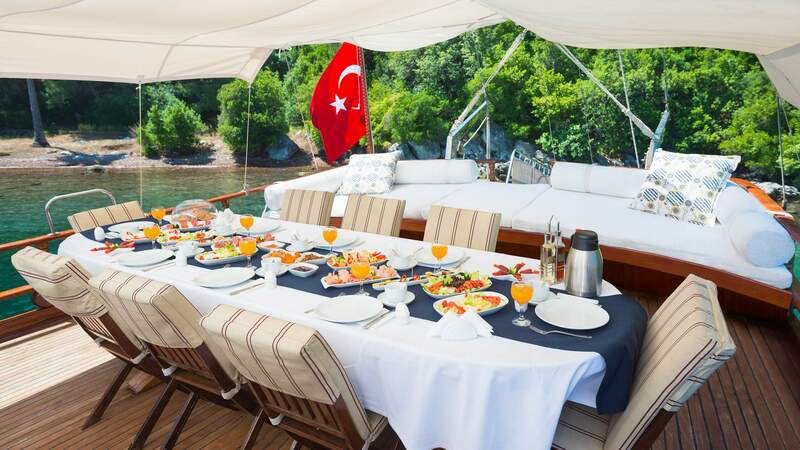 Each day of your gulet holiday can be celebrated with sundowners at the bow on the curved banquette and table, taking in the views overlooking the water, other boats and the unforgettable scenery.